You know that I’m a dog lover. I’ve made that very clear here on my blog. But I have a girlfriend who also loves her dog Edie (a fluffy little white ball of cuteness) as much as I love mine and we send each other pictures of our fur babies all the time. So when she told me she was having a baby, my first instinct was to make a ‘sibling set’ for the baby and the dog. I’ve made matching sweaters for siblings before but why not for baby and fur baby? Part of what I love about knitting is how personal you can make each piece. 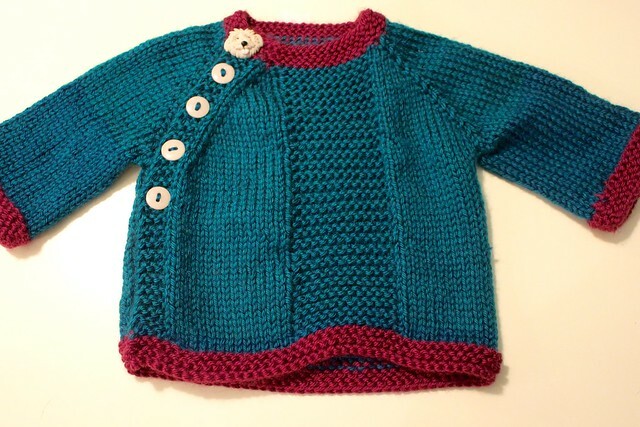 You can take a simple baby sweater pattern like Wee Sherlock and put your own spin on it. I used my standard Caron Simply Soft yarn to make the sweaters both machine washable and dryer friendly because babies and dogs are messy at times. I used a lovely teal color called Pagoda and a deep pink shade called Fuchsia. My girlfriend didn’t want a super girly color palette but loves blue and I thought this would be a fun mix. I also love Etsy because if you search for it you will find it. 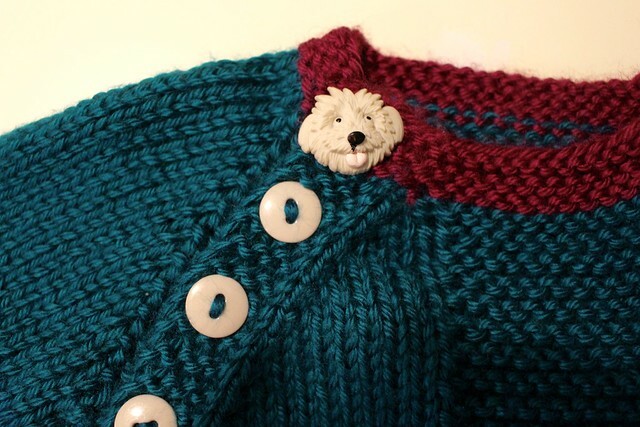 As I was knitting the sweater, knowing I was going to make a matching dog sweater I thought, why not find a fluffy white dog button as an accent for the sweater? And then I found the most perfect buttons from Embellishment Buttons and I knew they would make this tiny sweater even cuter than I thought it could be. And I love buying from small businesses on Etsy, they always leave great notes and are quick with shipping! I love the asymmetrical button band and although the original pattern had a cable panel down the front I decided to just make it a simple garter stitch panel down the center. 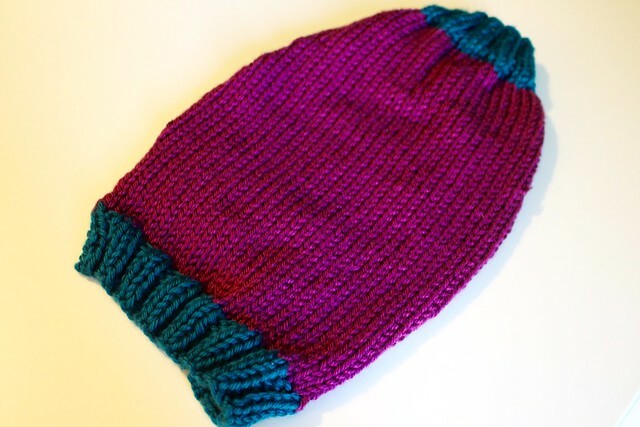 I just wanted to make it a super quick knit and not fuss with my cable needle. And if you have a baby with a fur sibling, you need to make the fur sibling a sweater too, right? I made Cher the Sparkle sweater before and knew it would be a quick knit so I took the same color palette from the baby sweater, teal and magenta) and just used it in reverse for Edie’s dog sweater to make them pop in photos together. Also, dog sweaters are hard to photograph when not on a dog. This one is too small for Cher and too big for Jelly! I’m keeping my fingers crossed it fits Edie and all her fluff but projects like this are why I love knitting. 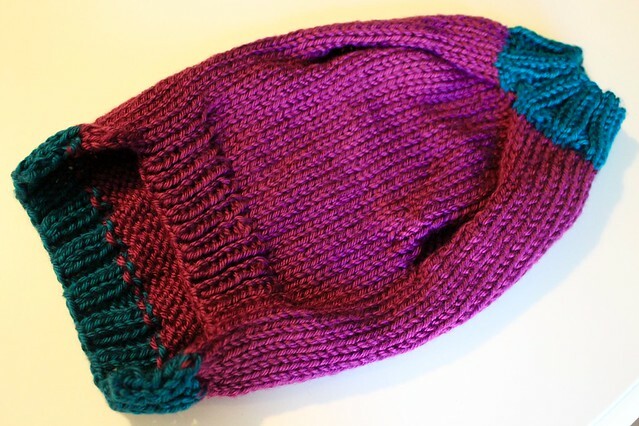 I can make something knit with a lot of love and attention that swaddles your baby (or dog) with my love. It’s what makes knitting these kinds of things such a joy too. And I highly recommend the Wee Sherlock sweater pattern, it’s another free one. It’s simple and easy to modify as well. My birthday is next week so I’ve got a little pre-birthday celebrating to do and clearly that will involve knitting. I hope you have a fantastic weekend as well! That button is awesome! Very cute sweaters, love the colours together. I loved that sibling set. You are such a thoughtful friend. I love how you put in personal details in your gifts. That’s what makes it fun adding in the personal touches. Very lovely! My mum is also loves knitting! I adore the handmade things since i was a child. When i was at school i used to attend “Knitting with hook” lessons but unfortunately forgot everything by now! Keep it up you have wonderful items.